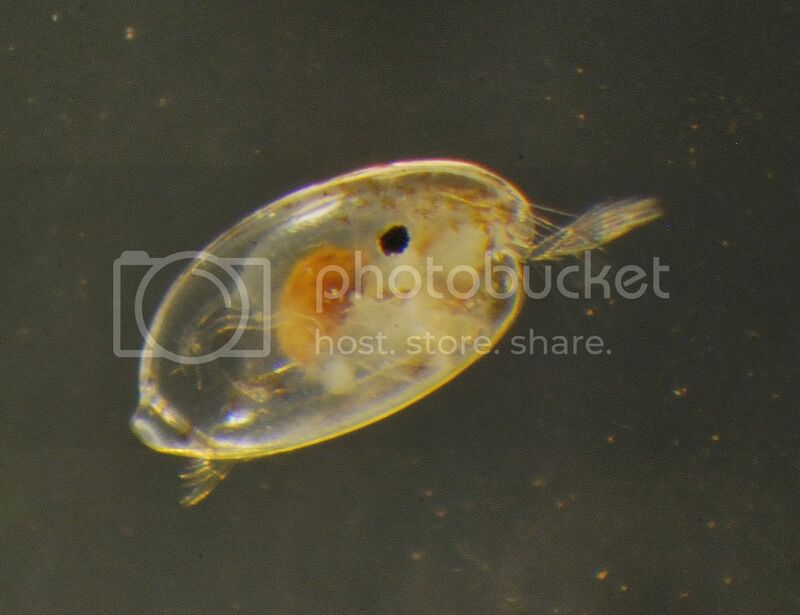 Moina salina, is a large cladoceran referred to as saltwater daphnia. 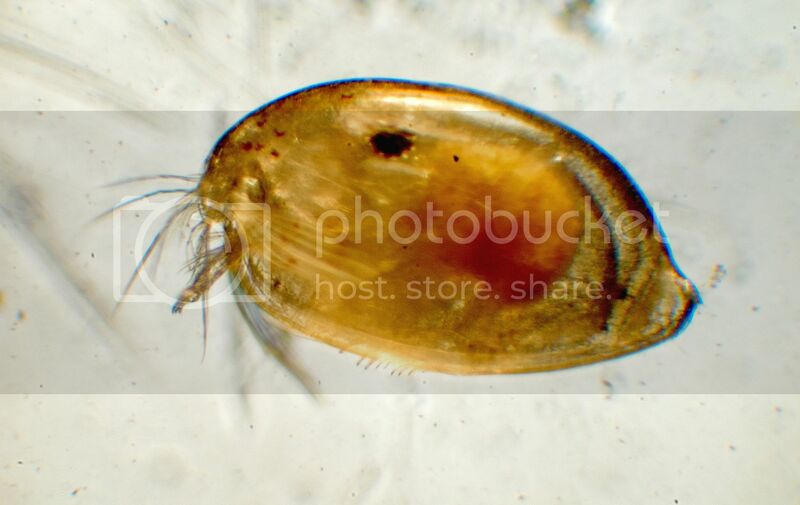 The adult length is up to 3mm. Moina will entice feeding of finicky fish and is a great feed item for corals, seahorses and small to medium reef fish. They may be used as a starter culture to add to marine aquarium refugiums or the main tank. Once established they will reproduce quickly, growing to adults in 1 to 2 weeks. They are tropical. We raise them in our tanks at 80 degrees F and they will thrive in normal aquarium temperatures and a wide range of salinities. We suggest that you add them to the refugium, however, they may be added to the aquarium at night to avoid immediate fish predation. Moina may be cultured separately in a small tank by feeding a live culture of nanochloropsis or tetraselmis available at Aquatic Technology. 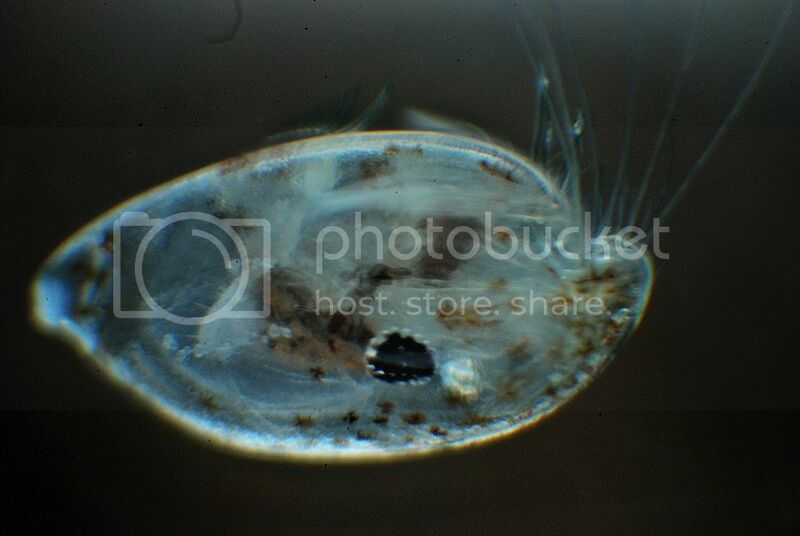 The juvenile are smaller than 500 microns, making them suitable for larger fish larvae and small juvenile fish. Adults may be harvested for feeding corals,juvenile seahorses and small fish. Last edited by mhurley; 09/13/2016 at 10:34 AM. How to order these? Do you ship? We are not shipping them at this time. What's the reason for not shipping them? Do they produce those black permaeggs like the freshwater species? Would you eventually ship those as they could be shipped dry? Ohio is kind of far for a local pickup. We collect them from our systems. We get up to 2 cultures every 2 days. We have increased production and now have a small surplus to sell via mail order. Current price is $25.99 per culture. Ship at your own risk. They must be prepaid with a postal money order. We can ship Monday through Thursday with Tuesday through Wednesday being the best days to ship.